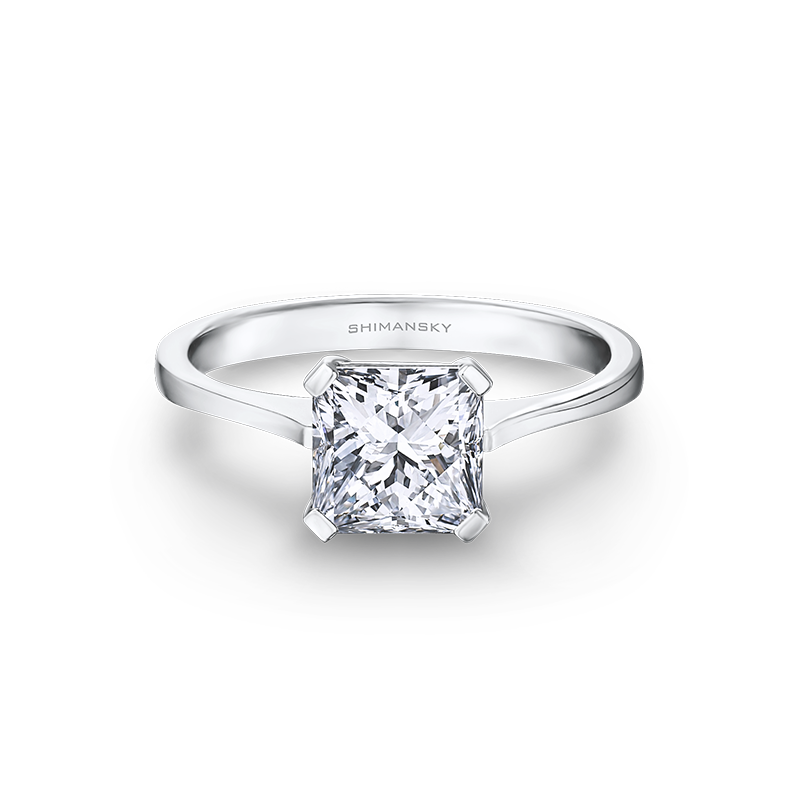 Set with a breathtaking 1.53ct My Girl patented diamond cut, the timeless 4 claw solitaire diamond engagement ring shown features a raised, tapered shank expertly crafted in pure platinum. Just like the woman of your dreams, the Shimansky-exclusive My Girl diamond is a one-of-a-kind. The first patented diamond cut to originate from South Africa, this unique cut shines with every move you make, offering the perfect balance of fire, brilliance and scintillation. 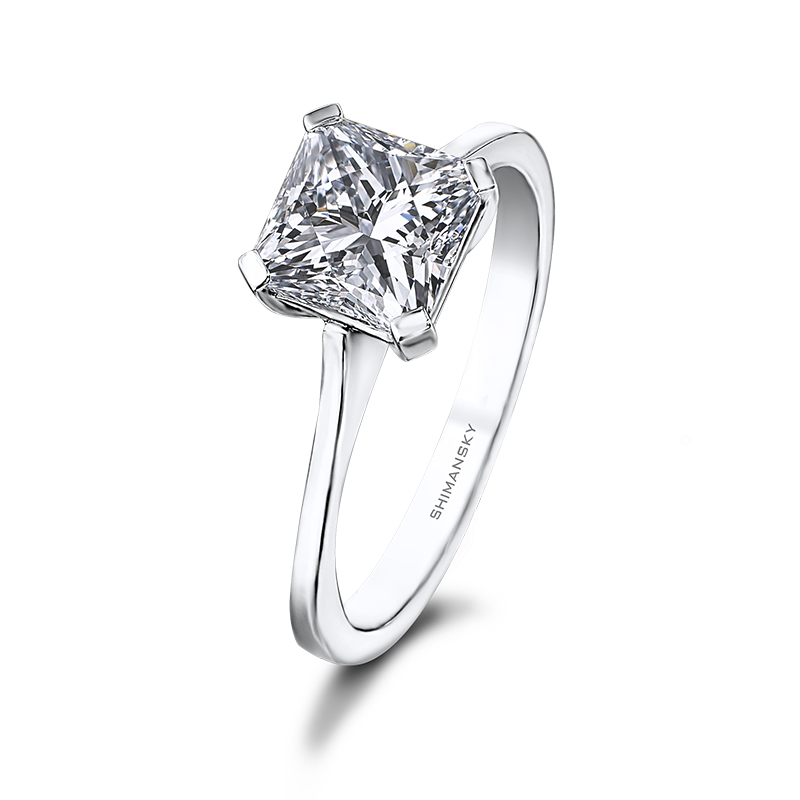 A square-cut diamond with a diamond-shaped table, this stunning My Girl is set in a tapered 4 Claw Raised Shank design, allowing the beauty of the My Girl to stand out, and take centre stage. 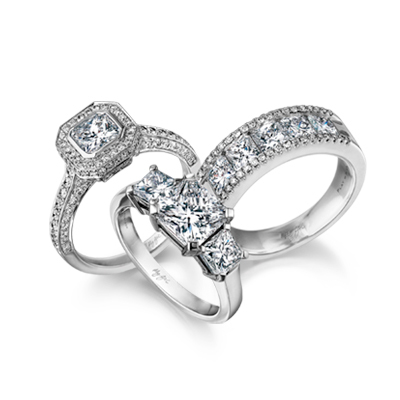 The tapered shank gives it a delicate appearance, and maximises the diamond. As unique as the woman who wears it, this classic jewellery creation is the ultimate symbol of love, and captures the moment of your engagement, now, and forever.